Dolls and Case from the "Love" series by Hasbro, 1971. 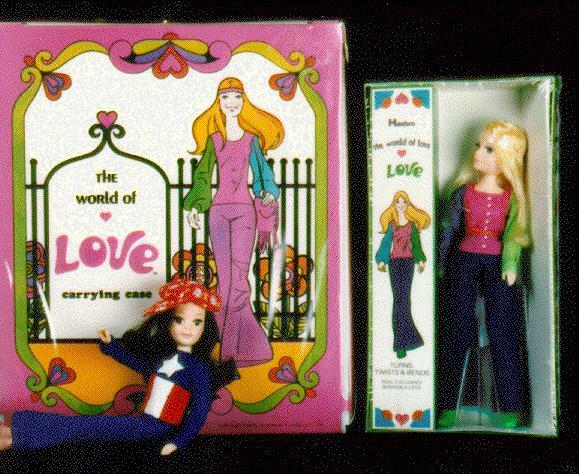 On left is the Love Carrying Case, sitting in front is "Peace" in her original outfit. On right is a Love doll, NRFB. These dolls are smaller, not the standard 11 1/2", they are about 9 inches tall. Copyright &cop; 1995-2001 Matt Saettler/Lisa Sheets. All rights reserved.